The Yamaha MT-15 is the newest street fighter from the Japanese manufacturer, one that's priced at a premium over it's FZ series of motorcycles. 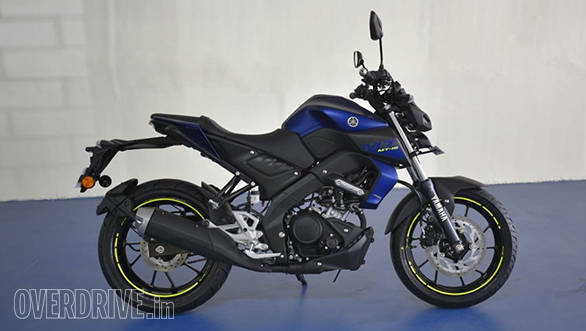 Essentially, a YZF-R15 without the fairing, the MT-15 has been optimised for riding in city. Here is a list of what we liked and what we didn't. You can read our detailed first ride review here. The MT-15 looks distinct in the crowded, 150-200cc street bike space and that's one of it's biggest positives. The headlamp is a single, projector and above it are two LED position lights that looks like a pair of mean eyes. It reminds me of the Swat Kats! The tank and stubby tail section is also unique and on the whole it's a lithe design that looks purposeful. The 155cc, 4V, liquid cooled, single-cylinder engine is an absolute gem and we've been saying this from the time it debuted in the 2018 YZF-R15. It's a motor that loves to be revved, but the best thing is the VVA or variable valve Actuation technology that improves performance at the top. The MT-15 keeping its street focus in mind, has a revised final drive by means of a larger, 52 teeth sprocket at the rear. So initial acceleration is quick, like in 0-60kmph scenarios, albeit at the expense of top speed. The MT-15 has a rather focused riding position that I liked. The handlebar is not too low, the pegs are rear set and you sit in a sporty yet comfortable riding position. The lack of a fairing translates to unhindered visibility which will make it easy to slice the bike through traffic. 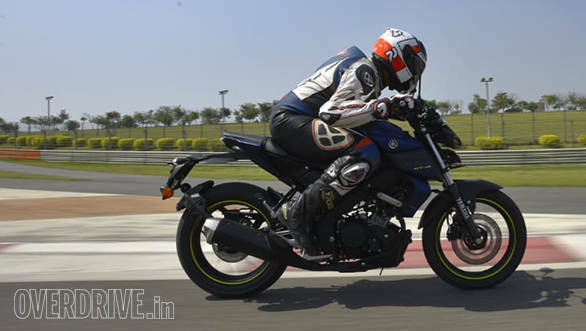 The MT-15 is light and nimble and this coupled with the sharp steering makes the bike a breeze to steer. It's tips into corners the second you countersteer and holds an intended line beautifully. The feedback from the Deltabox chassis is clear and that's quite reassuring when you attack corners. The clutch action is light and precise and the slipper clutch allows you to downshift aggressively without the rear wheel locking up. This makes the MT-15 involving and safer to ride at the same time. 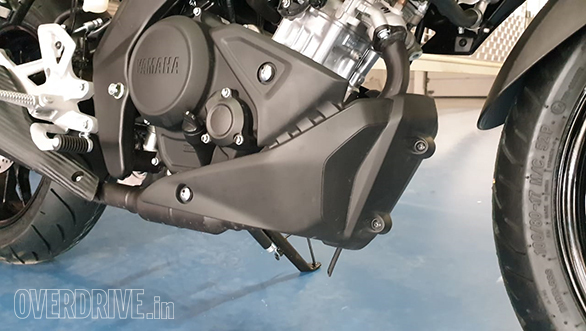 For a motorcycle as quick as the MT-15 the brakes lack initial bite and that can get a bit hairy when you need to slow down quickly. Also, feedback through the lever is not that great and we feel a better set of brake pads would improve the braking performance by some extent. 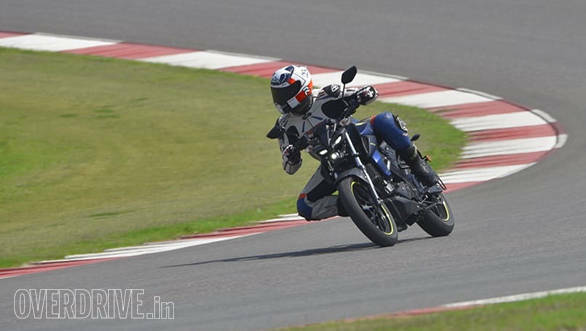 The Yamaha MT-15's chassis offers a lot of feedback and eggs you to push harder. 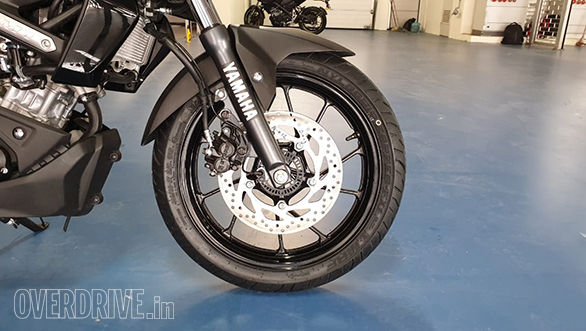 But that's when the tyres feel lacking and a stickier set would do wonders in boosting confidence and exploiting the handling prowess of the bike.